Welcome to our new blog dedicated to keeping you informed about the goings on of the Society of St. Vincent de Paul, providing information about our local thrift store operations, and exploring creative ways to reuse, recycle, and renew! This blog will share behind-the-scenes stories about our programs and history, great DIY project ideas, as well as the impact your donations and purchases make in the lives of our neighbors in need. But first, here’s some backstory on the Society of St. Vincent de Paul in Pittsburgh. An international Catholic lay organization, we’ve been in Southwestern Pennsylvania since 1852. Our organization grew out of local parishes, led by Pittsburghers who saw their neighbors suffering and wanted to make a difference in a person-to-person, direct way (these Good Samaritans were the predecessors of our current Vincentians, men and women who assist their neighbors in need in the community where they live). 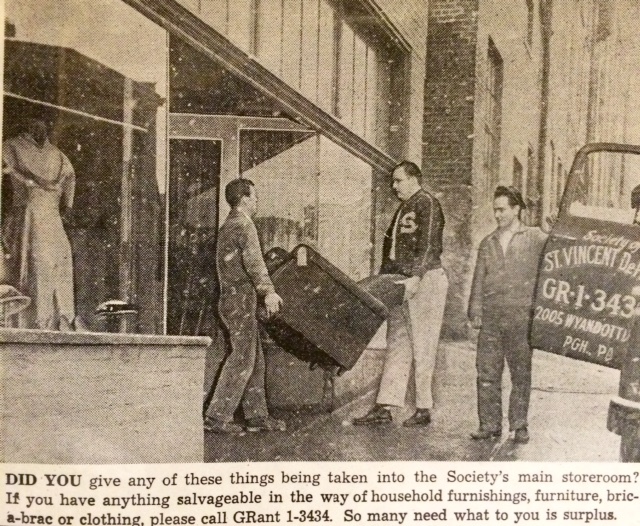 The early Vincentians collected clothes, food, furniture, and household items from members of their parish and distributed them to local families in need. The first incarnation of our thrift store operation was in 1920. 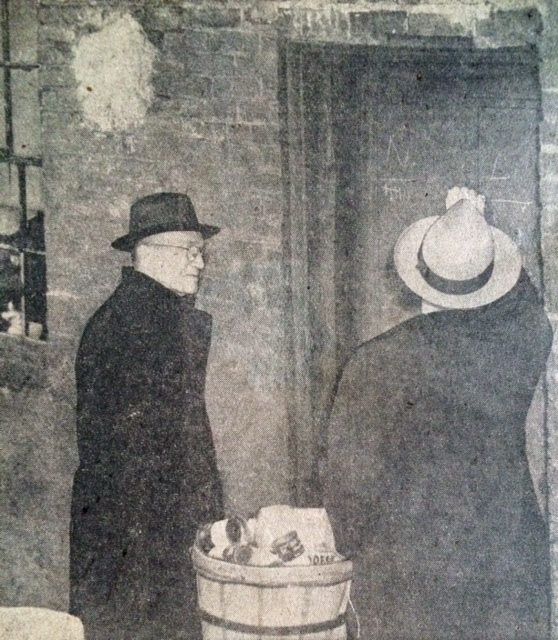 Back then it was called the “Salvage Bureau” and it was a more organized approach to collecting the items desperately needed to serve the poor in our area. Two wagons and horses were donated by Shanahan Transfer Company in order to collect those salvageable items. The donations were stored in a building on the Northside where they were then either distributed or sold in the very first St. Vincent de Paul thrift store. Proceeds from the sales would support those in need, a model that we have continued throughout the years. 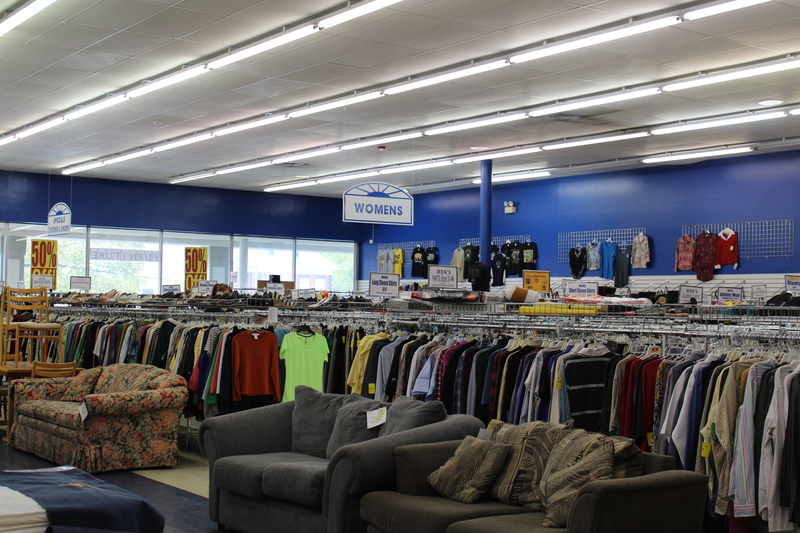 Today, we operate six thrift stores in Butler, Castle Shannon, Coraopolis, Monroeville, Sharpsburg, and Swissvale. Our stores provide clothes and household items to our neighbors in need through our voucher program – allowing our clients to shop free of charge for their own items so that they match their style and need. The stores also provide important funding for our numerous other programs – when you purchase an item from one of our stores, you are giving back to our community. The stores, and your patronage of them, are a fundamental part of the operations of the Society of St. Vincent de Paul in Southwestern Pennsylvania. Because of the revenue from our stores, recycling programs, and donations, we are able to support vital, tangible basic needs assistance programs such as clothing and furniture for those who need it, rent and utilities assistance, food assistance, and Michael’s Place, our home of hope and recovery for men transitioning from jail or prison to independent living. We have relied on the generosity of Pittsburghers for more than a century and you’ve always come through — thank you for your continued support and for everything you do for our neighbors in need. We sincerely hope that this blog is a place that you visit (often) to learn more about the Society of St. Vincent de Paul, get ideas for new projects, and to support our mission. Stay tuned for weekly posts and follow/like us on these social media platforms: Facebook, Twitter, Instagram, and YouTube. To keep up to date with what’s going on at the Society of St. Vincent de Paul, make sure to sign up for our e-newsletter!